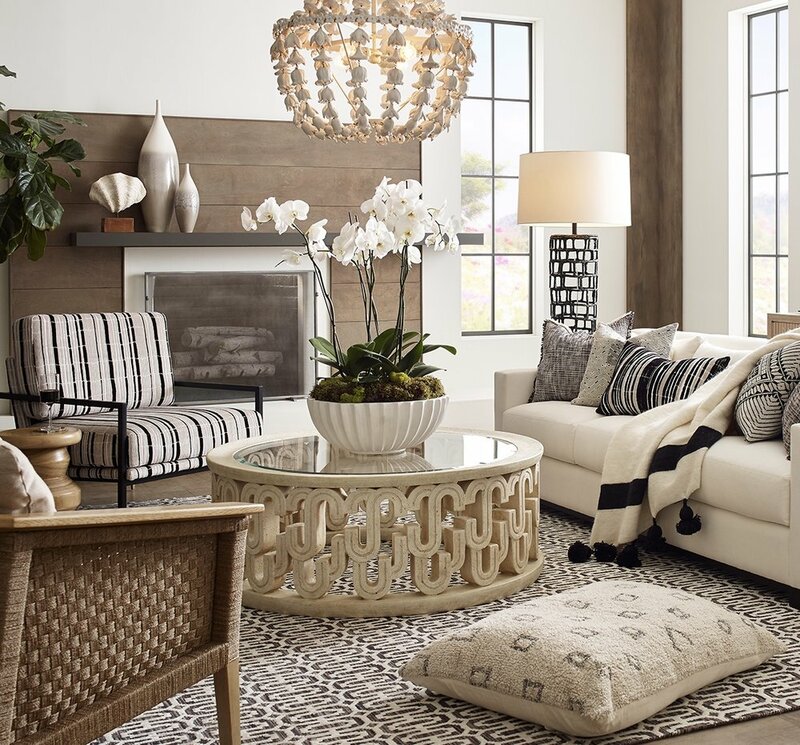 This room is sheer eye candy for those of you who love all NEUTRAL TONES, COLORS & TEXTURES galore. The architectural details are simply stunning. Peek through the orchids and check out the asymmetrical mantle, I can barely contain myself! Love everything about this room.